Drumroll… probably the most obvious choice… Melissa Rivers. Yes, the daughter of the late Joan Rivers (and executive producer) of the show 'Fashion Police' has been announced as the new host, replacing Joan, replacing Kathy Griffin. Kathy came on board as the new host after Joan's death. She later left, as did Kelly Osbourne. 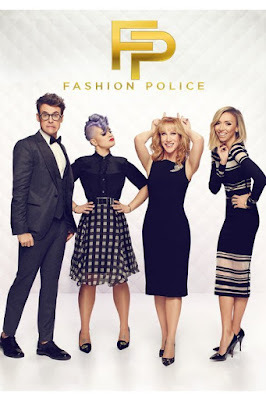 "As an executive producer since the beginning, Melissa helped shape Fashion Police into an iconic TV series that couples fashion with comedy," said Jeff Olde, Executive Vice President, Programming and Development for E!. Melissa will join Giuliana Rancic and Brad Goreski when the show returns on August 31 for the MTV VMA's. Are you a fan? Will you tune in?